Very loosely based on the clever book Not Quite What I Was Planning. Six-Word Memoirs by Writers Famous and Obscure. Sum up the essence of your day in six words! 2433 people want to do this. 80 people have done this. 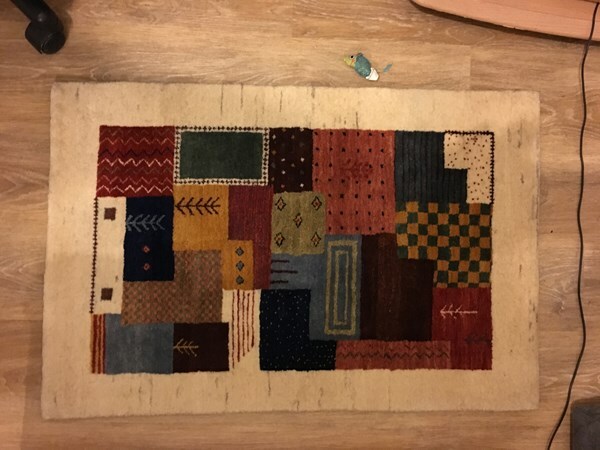 Beautiful handmade carpet bought from Northern Cyprus. The pattern is based on an Azerbaijani design. Doing this slightly modified, rather than 6 words, I'm writing down an emotion, major event, what I did well, poorly and what I'll do tomorrow. So that's kind of 6 things and more useful. 3 and a bit months in - going strong! 08.05: studies, morning w/K., living room, US history. Looks like, I need to restart this again. I stopped short. Why? Well, a few months ago, when I took a hiatus from Day Zero, it was largely because I realised there is no point in goals if they are making you more unhappy by looking at all the ones unfinished, than happy and motivated for the future. My life was just in that sort of place where you can't see the future where all of these things happen. Keeping a journal is one of the easier things to do, and that's why I was doing it. But it had its own drawbacks. 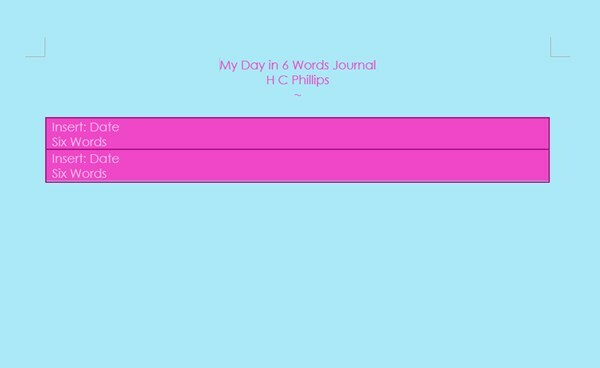 I am a writer, and so the journal of six words was not doing anything for me - I already wrote about my day when I wanted to, what I was thinking, and anyway, mostly wrote something almost every single day. Six words is not even quite long enough for you to make poetic allusions to what you did or felt that day (as I discovered). It was a good thing to try to do. But once I started forgetting, it wasn't something worth stressing over. 12/24/14 - Skipped two weeks, Havanese Christmas Eve! I have actually kept this up for 7 months. Given this year was the year of "Reflect" it seems fitting. I will continue until Dec 31. yay! 12/09/14 - Rested enough for my own good. 11/29/14 - Settling myself into this snowy state. 11/30/14 - I've always been terrible with endings. 12/02/14 - Hurry to catch up, well done. 12/05/14 - Smile, it will be worth it! 11/19/14 - I forgot way too many days! 11/22/14 - New hair, Wii, many thank yous. 11/23/14 - Less surprised than I would've liked. 11/25/14 - Ate too much, need to exercise. 11/26/14 - Something strange & dark, for a change. 11/19/14 - Tiring easily, I won't be stopped. 11/16/14 - Courage comes when called - "I'm Lost"
11/07/14 - Today's last warmth washed over me. 11/09/14 - Stay to watch the snowflakes fly! 11/10/14 - Thank you, a day of abundance. 11/11/14 - Keep communicating with love, with yourself. 11/12/14 - Grateful for the gift of life. 11/06/14 - Bustle overturns me, I overcome it. 10/31/14 - Content staying still among buzzing energy. 10/30/14 - Jovial mood preceding Halloween, Capturing disguise! 10/29/14 - Boundaries crossed and reciprocation, Love Yourself. 10/28/14 - Balancing acts of achievement challenge, delight. 10/28/14 - Breathe, I can only control myself. 10/23/14 - Rest my soul & body, healing happens. 10/22/14 - Endurance is key, exhaustion is inevitable. 10/16/14 - Letting my heart stay rested back. 10/17/14 - Grateful for my time here, my sister. 10/18/14 - Happy Birthday Chuck, I did try. 10/19/14 - Slept in, Gamed out, keeping calm. 10/20/14 - Burgers for Sunday dinner - a relief.